Photographic postcard in black and white, of "The Golden Tower" of Old Mission Peninsula. Other similar postcards in the collection are dated from 1926 to 1929. Likely an observation tower for tourists. Unknown, “The Golden Tower, Old Mission, ca. 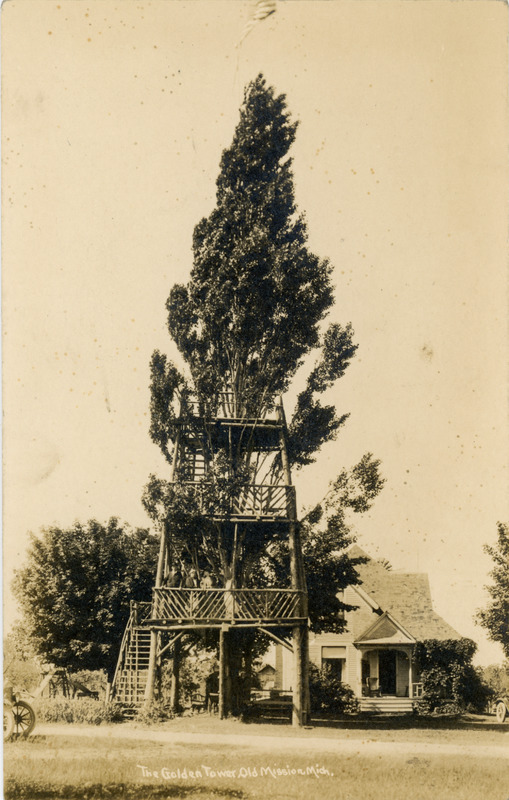 1920s,” TADL Local History Collection, accessed April 21, 2019, https://localhistory.tadl.org/items/show/1639.